P0476 is a diagnostic trouble code (DTC) for "Exhaust Pressure Control Valve Range/Performance". This can happen for multiple reasons and a mechanic needs to diagnose the specific cause for this code to be triggered in your situation. Our certified mobile mechanics can come to your home or office to perform the Check Engine Light diagnostic for $69.99. Once we are able to diagnose the problem, you will be provided with an upfront quote for the recommended fix and receive $20.00 off as a credit towards the repair. All our repairs are backed by our 12-month / 12,000-mile warranty. During the exhaust back pressure step test, the engine control module (ECM) commands and measures a preprogrammed exhaust pressure and then measures time for pressure decay during your vehicle’s engine running test. The exhaust back pressure step test will recognize any problems with the exhaust back pressure (EBP) device or the tube that sits between the exhaust manifold and the EBP sensor. If the ECM recognizes a fault in the exhaust back pressure (EBP), intake air temperature (IAT), or engine oil temperature (EOT) sensor, the ECM will then disable the exhaust back pressure regulator, thereby causing the P0476 code to appear. What causes the P0476 code? The most common cause for a P0476 code has to do with a Faulty Exhaust Back Pressure Valve. Other causes include an open or shorted Exhaust Back Pressure Valve harness or a poor electrical connection in the Exhaust Back Pressure Valve. What are the symptoms of the P0476 code? Your vehicle’s Check Engine light will most likely illuminate to let you know that there is an issue. How does a mechanic diagnose the P0476 code? Your vehicle’s exhaust back pressure regulator is a variable position valve that controls exhaust back pressure during cold temperatures. It does this in order to increase heat to your vehicle’s cab and to decrease the amount of time required to defrost your windshield. The engine control module (ECM) uses your vehicle’s measured exhaust back pressure, engine oil temperature, intake air temperature, and engine load to determine how much exhaust back pressure is needed. You can control your vehicle’s valve position by switching the output signal circuit in your ECM to 12 volts. If you start your engine and the temperature of intake air on the Intake Air Temperature (IAT) sensor is less than 37°F (5°C) and the oil temperature is between 32°-140°F (0-60°C), your vehicle will continue to keep the back pressure valve partially closed. As the oil temperature rises as your engine runs, your ECM will adjust the valve in response to the rising oil temperature. These are all areas that your mechanic will examine. He or she will use diagnostic equipment that you may or may not have access to. This is why it is important to take your vehicle to a trained professional, or, if you decide to take the task on yourself, you should acquire an extensive knowledge of your vehicle and the potential hazards for what you are about to do. A P0476 can be very serious, particularly when your vehicle will not start or stalls constantly. If you do not have the specialized equipment to diagnose the problem, your best bet is to consult a trained technician and have him or her solve the issue for you. What repairs can fix the P0476 code? Because this issue could have several causes, it is important to run a thorough diagnostic test before you begin any repairs. That said, you may need to replace your torque converter or you may just need to clean the port to the right side of your exhaust manifold. If your car is struggling when you put it into gear, you may have a malfunctioning cam sensor. It may be best to begin with the small, minor repairs, and if these do not provide a solution, you can start with the larger tasks, such as replacing components on your vehicle. In some cases, a P0476 will prevent your vehicle from starting or, after your vehicle has started, it will continually stall. Obviously this is something that you will want to fix right away. But please beware that fixing this issue can become very complex and that doing the repairs on your own may involve long hours of labor with expensive diagnostic equipment. Therefore, it is important to do extensive research before you begin to work. Do not hesitate to contact a trained technician for advice about this issue. Need help with a P0476 code? 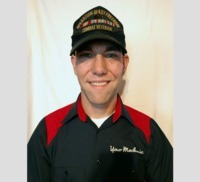 YourMechanic offers certified mobile mechanics who will come to your home or office to diagnose and repair your vehicle. Get a quote and book an appointment online or speak to a service advisor at 1-800-701-6230. Fast and easy Check Engine Light is on Inspection service at your home or office. He was on time, very knowledgeable. Jerimiah was very knowledgeable. He was honest about what had to be doe. I would definitely use him again.